This slow cooker chicken is so easy to make - everything just goes into the crock pot without any special prep. It's fall-apart tender, juicy and delicious. Serve as is or in buns with the best coconut coleslaw and dill pickle chips. Dovetailing tip: Double recipe so you will have enough leftover (2 cups) to make Quesadillas for Meal 4. Remove chicken to a cutting board and shred each breast using two forks. Place shredded chicken back in the crock pot and stir to coat with the sauce. 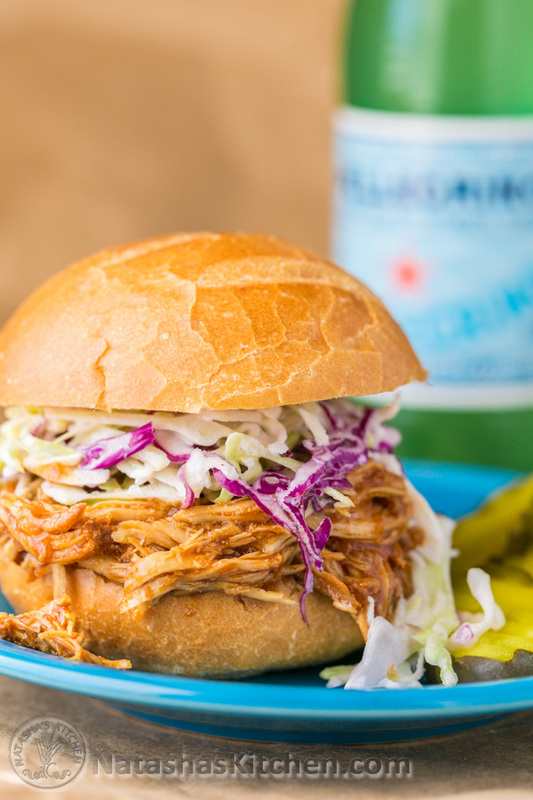 Serve on rolls or buns, topped with coleslaw.